Ok, this is starting to make me very angry. 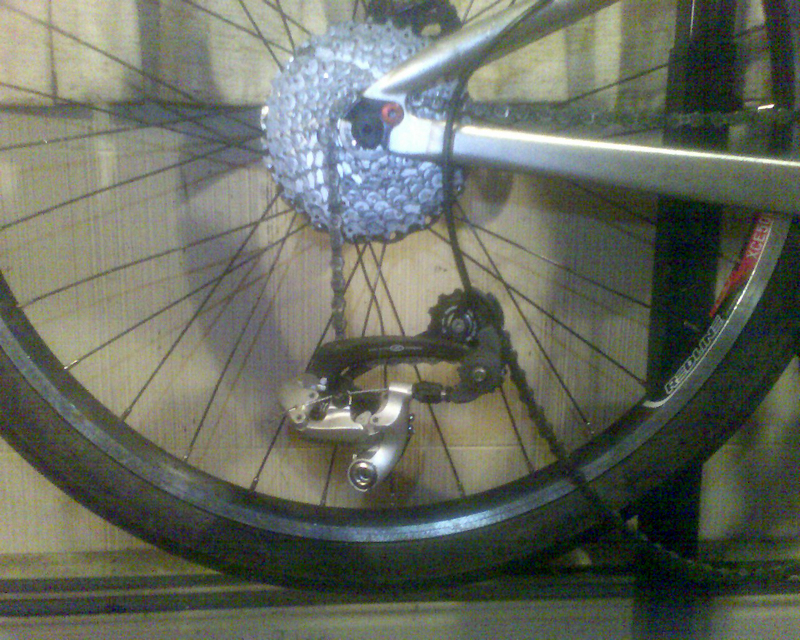 I've bent tons of derailer hangers in my day, but I've never broken one until Monday, and now I've broken two. Monday's was from a stick, there's no way to prevent that, it happens. But last night was not excusable. I was jumping off a small wall. The size of wall I've been jumping this bike off of all Spring, all Summer and all Fall. There was nothing special about this wall at all. 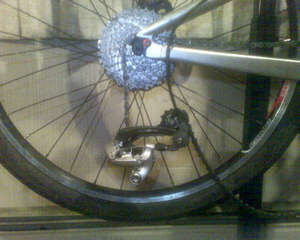 Other than the fact that when my back tire hit the ground, my brand new derailer hanger snapped. Not only did it snap, but it got into the wheel and messed up the spokes. So I went back to ATA cycles in Cambridge and told them, the sold me (not gave me) another one and said they would call Maverick and see what they say. I have a feeling I'm never going to hear from them again. I'll probably send Maverick an email anyway explaining the situation. Anyway I installed the new one, and I trued my wheel, plus they are my street wheels so its not a big deal to me if they get beat up. So I should be good to go for JRA's event tomorrow. Oh, and when I was at ATA, I go "hey do you give nemba discounts?" HAHAHAHA! Next time I'll have to say FellsBiker or Dieselbikes of course.